Renniks Number: R58. 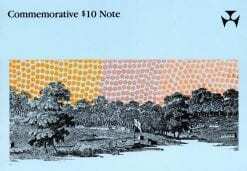 Banknote Description:Ten Pound. Circa 1940. King George VI. Serial Number: V/3 270024 Grade Extra Fine. Terrific sale price, only one in stock. Signatures: Sheehan/McFarlane. 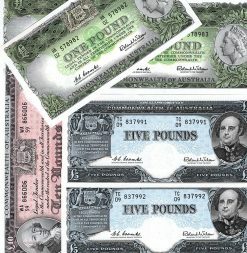 Pre-Decimal Banknote. Renniks: R07. 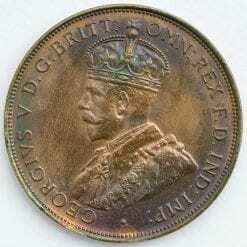 Denomination: Ten Shilling-Half Sovereign. Signatures: Riddle/Heathershaw. Circa: 1928. Grade: Uncirculated. Serial Number: A/60 347616. RR: $19000.00. 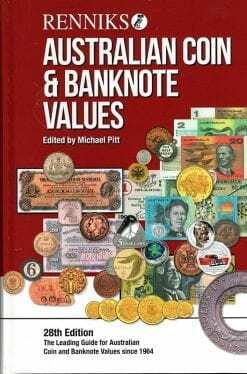 Source Renniks 27th Edition Coin & Banknote Catalogue. 2017. 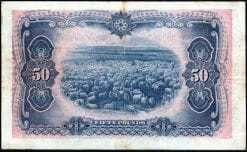 An exceptional grade of this very rare banknote. THIS BEAUTIFUL BANKNOTE HAVING NOW BEEN GRADED BY PMG. 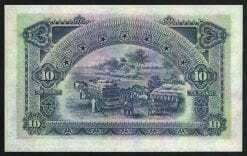 Pre-Decimal Banknote. Renniks: R26. Denomination: One Pound. Signatures: Riddle/Heathershaw. Circa: 1928. Grade: Uncirculated. Serial Numbers: K/9529267/52968. RR: $11000.00. (Pair). Source: Renniks 27th Edition Coin & Banknote Catalogue. 2017. Renniks R12. 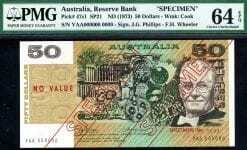 Banknote Description: Australian Pre Decimal Banknote. Signatures: Sheehan/McFarlane. Circa 1939. Serial Number: F/12 876170 Grade: Very Fine. RR: $600.00. Source: Renniks 2018. A lovely natural banknote, no faults. Renniks R12. 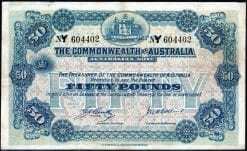 Banknote Description: Australian Pre Decimal Banknote. Signatures: Sheehan/McFarlane. Circa 1939. Serial Number: E/57 434197 Grade: Very Fine+. RR: $600.00. Source: Renniks 2018. A lovely natural banknote, no faults. Renniks R12. 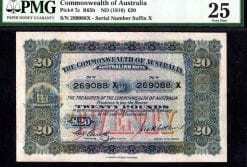 Banknote Description: Australian Pre Decimal Banknote. Signatures: Sheehan/McFarlane. Circa 1939. Serial Number: E/20 294185 Grade: Fine. RR: $600.00. Source: Renniks 2018. 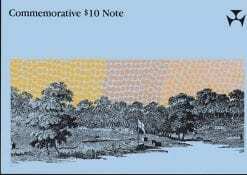 A lovely natural banknote, no faults. Renniks R14. 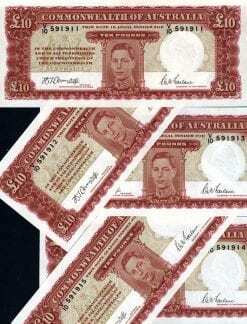 Banknote Description: Australian Pre Decimal Banknote. Signatures: Sheehan/McFarlane Circa 1939. Serial Number: A/72 981134 Grade: Very Fine+. RR: $600.00. Source: Renniks 2018. A lovely natural banknote, no faults. 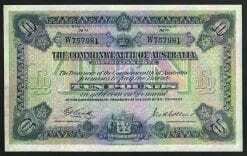 Banknote Description: Australian Pre Decimal Banknote. Denomination: Ten Shilling. Signatures: Coombs/Wilson. Circa 1952. King George VI. Serial Numbers: B/13 085442. Signatures: Coombs/Wilson. Grade: Very Fine. RR: $400.00. 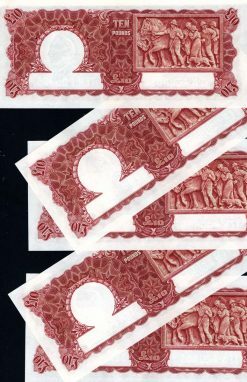 Source Renniks 28th edition Coin/Banknote Catalogue. 2018. 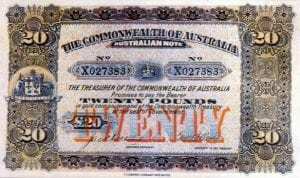 Australian Pre Decimal Banknote. R015 Denomination: Ten Shilling. Signatures: Coombs/Wilson. Circa 1952. King George VI. 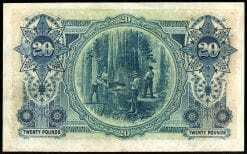 Serial Numbers: B/31 576603. Grade: Very Fine. RR: $400.00. 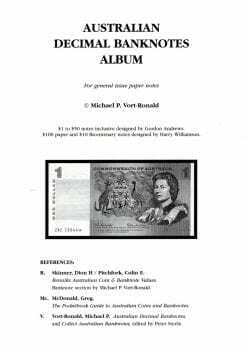 Source Renniks 28th edition Coin/Banknote Catalogue. 2018. 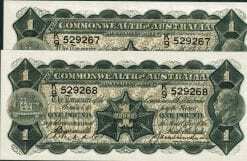 Australian Pre Decimal Star* Banknote Replacement. *Grading of Fine has been authenticated including all square edges. 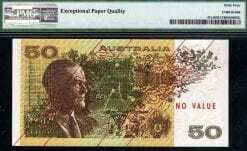 Hard to find premium Australian banknotes. 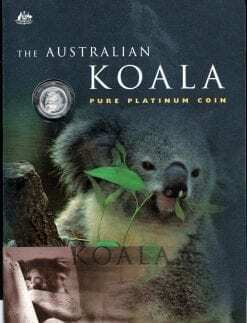 Our finest Australian coins for collectors and investors. 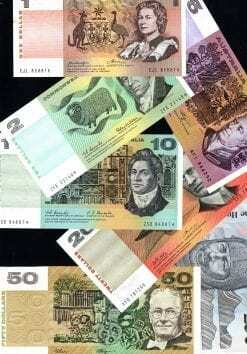 Our collection of discounted Australian Polymer banknotes. 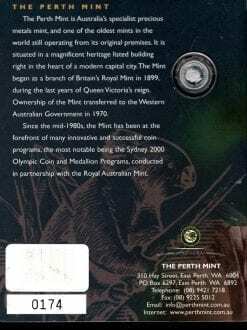 Pick up a piece of Australian history at a bargain price. 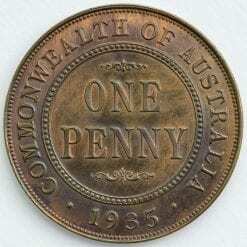 How safe is your valuable Australian numismatics collection? 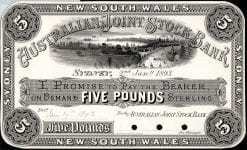 Want to know the real current market value of your Australian coin or banknote portfolio?